Human embryonic stem cells the two major characteristics of stem cells: they can renew themselves and can also give riexhibit se to specialized cells of the body. What is distinctive about these sorts of stem cells is that they can develop into almost all of the cell types of the body. They have been shown to transform in culture into blood, skin, heart, neural progenitor, skeletal muscle, and insulin-producing cells. In addition, they multiply rapidly and can be grown in great abundance in culture. Thus, they provide a large-scale source of stem cells, which makes them of tremendous interest to those seeking treatments for a wide variety of diseases. Embryonic stem cells are derived from the early embryo, generally at or before four to six days after sperm and egg merge. 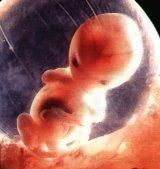 At this stage, the embryo is a microscopic ball composed of approximately 200–250 cells and is smaller than a pinpoint. Within it is an inner cell mass of some 30–40 cells that is surrounded by an outer ring. The primitive undifferentiated cells of this inner cell mass can be cultured into human embryonic stem cells. In the course of the delicate process of removing the cells of the inner cell mass to derive stem cells from them, the embryo is destroyed. In 1998, Thomson and his team cultured embryonic stem cells by transferring them to laboratory dishes that held nutrients and growth factors. There the cells divided and spread over the surface of the dishes. After several days, when the multiplying stem cells began to crowd the culture dishes, the scientists removed them and placed them in fresh dishes, a process that they repeated many times. Gradually, they were able to expand these cells into stem cell lines, which are colonies of millions of stem cells that continue to multiply but retain their original undifferentiated state. Once these cell lines were established, batches of them were frozen; most of them recovered after thawing. This method has been used with some modifications in subsequent studies in which human embryonic stem cells have been cultured. This work has been extremely fruitful. By mid-2005 there were approximately 150 embryonic stem cell lines worldwide. Human embryonic germ cells, which were also isolated in 1998, are derived from cells in the gonadal ridge of the embryo or fetus; this is the area from which eggs and sperm develop. These cells have some of the same characteristics as human embryonic stem cells. Both are capable of long-term self-renewal. However, as noted, embryonic stem cells have a greater capacity than embryonic germ cells for proliferation in culture. Embryonic stem cells can proliferate for two years through 300 population doublings, whereas those grown from germ cells can increase their numbers for around twenty-one days at most, with only 40–80 population doublings. This capacity for proliferation is one of the features of human embryonic stem cells that makes them of greater interest to investigators. Another factor leading researchers to focus on embryonic stem cells, rather than germ cells, is that attempts to derive specialized cells from embryonic germ cells in mice have led to abnormalities in the resulting cells. Human embryonic stem cells not only offer great potential for therapeutic advances but also can be used to increase knowledge about very early human development. The study of such stem cells could lead researchers to identify the genetic, molecular, and cellular events that are responsible for congenital birth anomalies and placental abnormalities. From there, clinical investigators could go on to develop methods for preventing such conditions and treating those that they cannot avert. Research on embryonic stem cells should lead to better understanding of the basis for their greater pluripotency and proliferative capacity in comparison with adult stem cells. It might then be possible to engineer those crucial capacities into adult stem cells derived from patients for subsequent therapeutic uses. Several reports have documented that genes can be introduced into human embryonic stem cells and even targeted to specific sites. This provides scientists with a way to analyze gene function and regulation in human embryonic stem cells as they differentiate, as well as the opportunity to study cells with genetic abnormalities in those instances in which the gene associated with a specific disease is known. It lays the groundwork for future efforts to genetically alter such cells for therapeutic purposes based on the information gained in such studies. That is, targeted gene replacement provides an opportunity to replace a defective mutant gene with a functional gene, a first step in genetic therapy. However, scientists involved in embryonic stem cell research face a significant challenge, for they must come to understand the mechanisms by which these cells differentiate into specific cell types. Multiple signaling networks orchestrate the development and differentiation of these stem cells, and scientists must separate these networks from one another and come to understand the functions of each. They know that some signals for cell differentiation come from chemicals secreted by other cells, physical contact with neighboring cells, and molecules in their immediate environment and therefore hypothesize that these cells are probably responding to complex mixtures of signaling molecules. Stem cell investigators are attempting to identify such signals more specifically in order to develop methods for controlling embryonic stem cell differentiation in the laboratory and then in living systems. They must complete this effort before they can attempt to insert embryonic stem cells or their progeny into humans in order to overcome diseases and debilitating conditions. © 2009 cord-blood-bank.weebly.com All rights reserved.